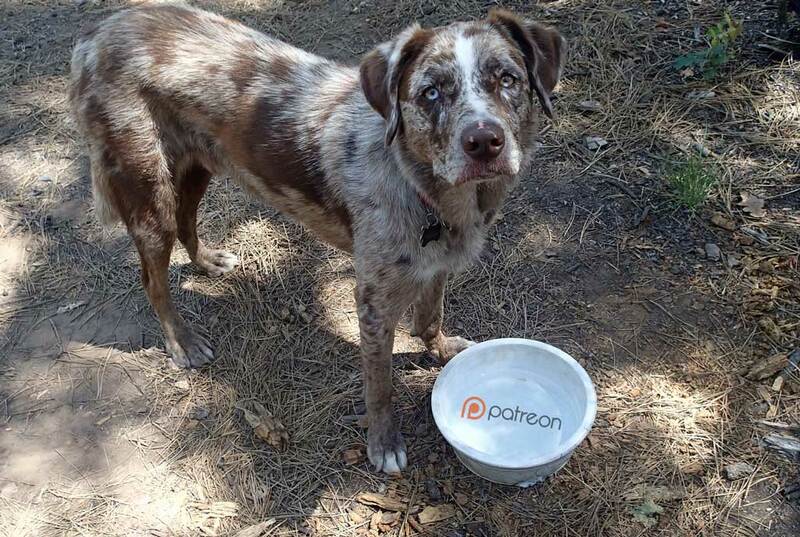 Kibbles for My Patreon Bowl? Here is my shameless shameful plug. More than two years ago a colleague I respect emailed and started a back and forth exchange. He strongly urged me to set up a donation campaign so I could be supported to do more tool and resource building. I gave it some thought, but then landed a good long term contract, so shelved it. Recently a few others have asked me why I am not patreon-ing, and my answer was more or less a shrug. 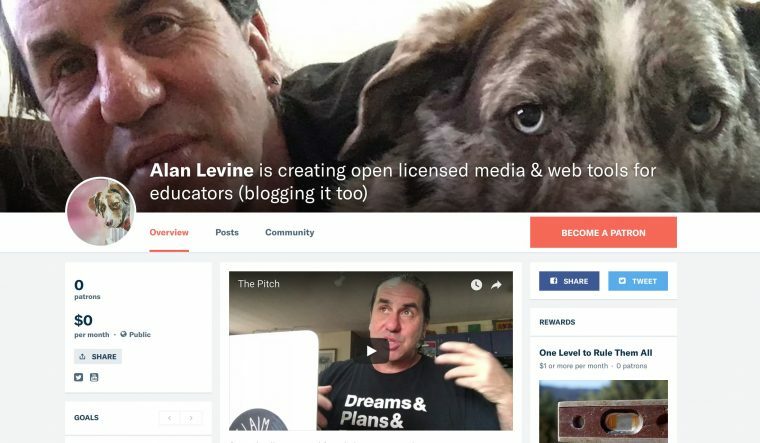 I have shared everything I have built, made, created online since I started in this biz in 1992, usually this was somewhat aligned with my paid positions As blogged recently I have been self employed since 2012; and as long as stuff was coming in, I just keep doing stuff in the edges of that. and set up a patreon bowl at https://www.patreon.com/cogdog. I feel completely awkward doing this, but what the heck? On Friday I published a small WordPress plugin ans spent a chunk of my Saturday evening working on a new customization feature for a SPLOT (I also mopped my dining room floor and sealed the tile, this is the lifes of the not so rich and not so famous). Not shameless (or at all shameful! ), Alan… just totally legit. Happy to help, even in a small way.